Mount Saint Mary College is located on 51 acres overlooking the western banks of the Hudson River in Newburgh, NY. Chartered in 1960, this private 4-year college has grown to an enrollment of approximately 2,300 undergraduate students and 400 graduate students. As a result of this growth, the College purchased a 100,000 square foot, brick masonry five-story building. 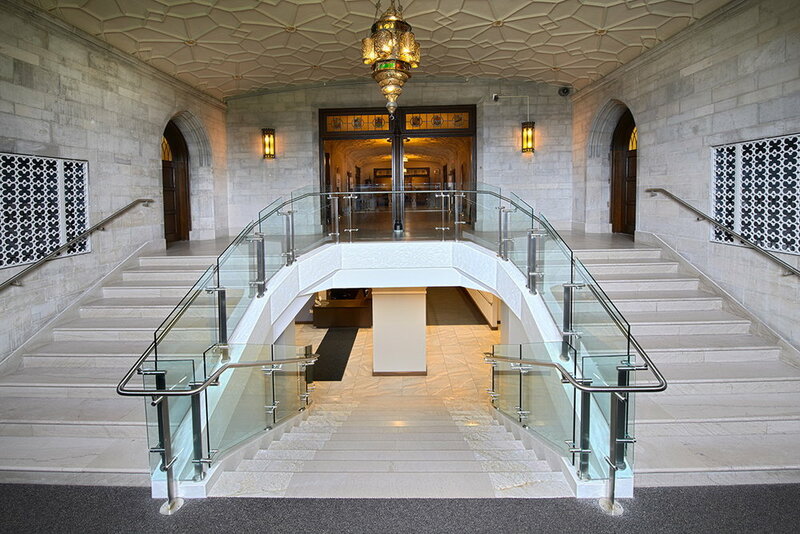 Originally constructed in 1929, the steel frame structure was expanded in 1929 and 1954. 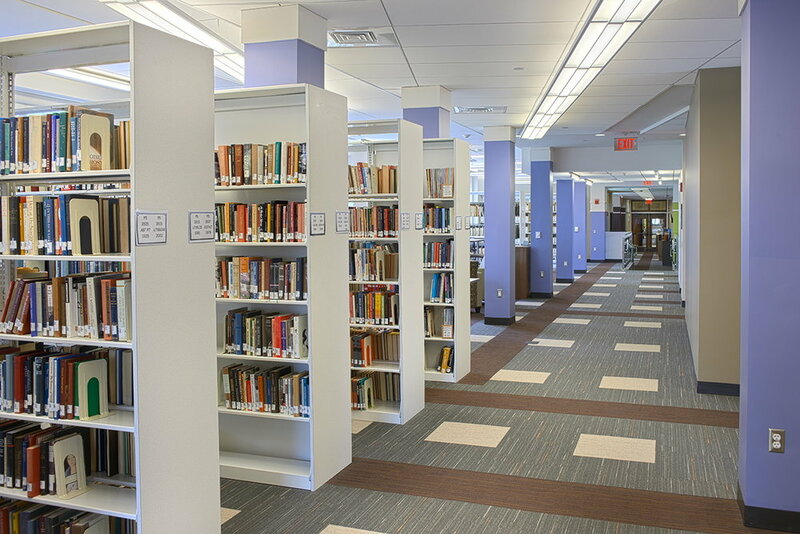 The First Floor, containing library space, associated work spaces, stacks and servery/dining areas, an accessible entry/exit and outdoor seating. 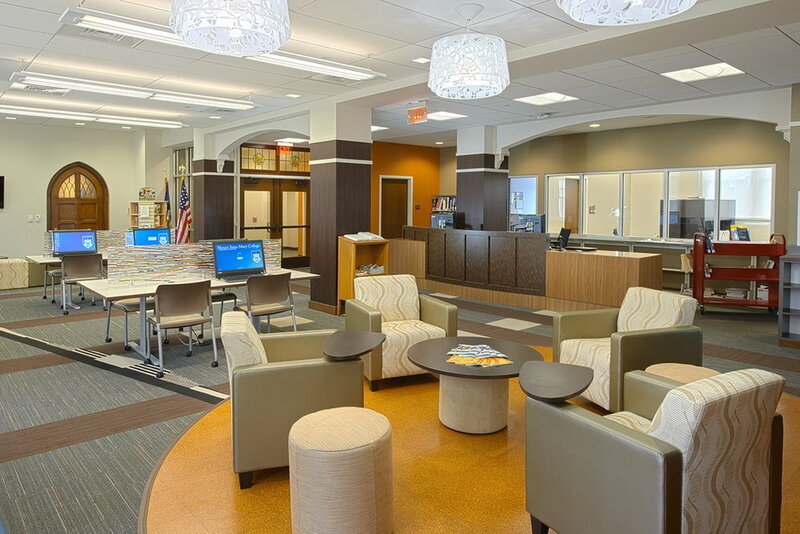 The Second Floor, containing library space with open seating, computer labs, seminar/study rooms, circulation desk and staff office areas. 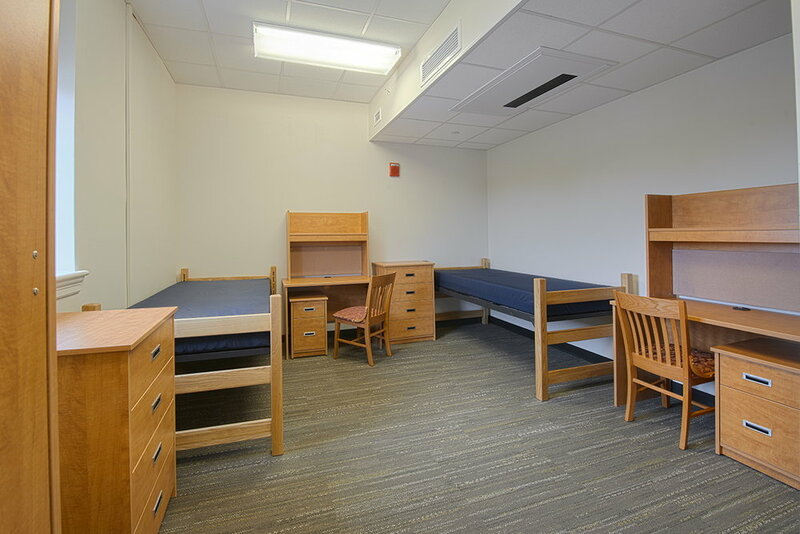 The Third, Fourth and Fifth Floors accommodating student housing space with approximately 150 beds and associated relevant spaces such as lounges, laundry, restrooms and exercise space. Mechanical & Electrical systems that were removed and replaced. 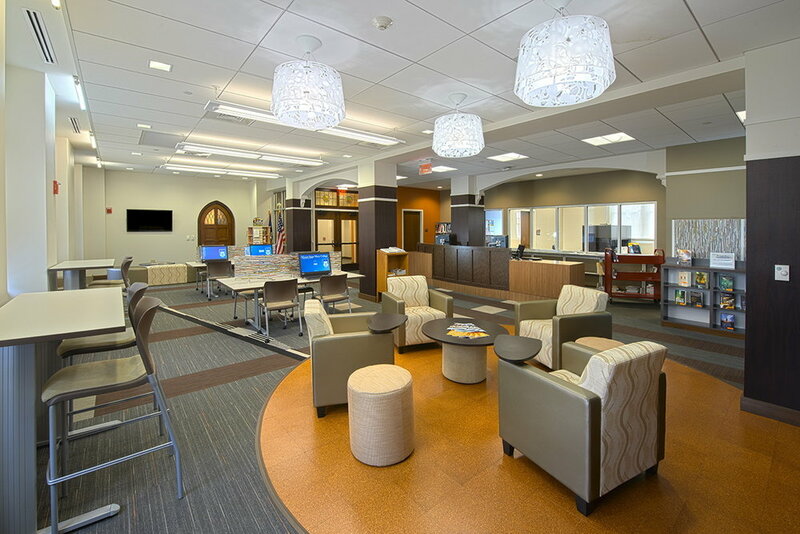 The new Dominican Center maximizes student collaboration, provides academic space to support faculty and staff, and has improved access to a technology rich, educational environment that provides the opportunity for educational and social interaction. 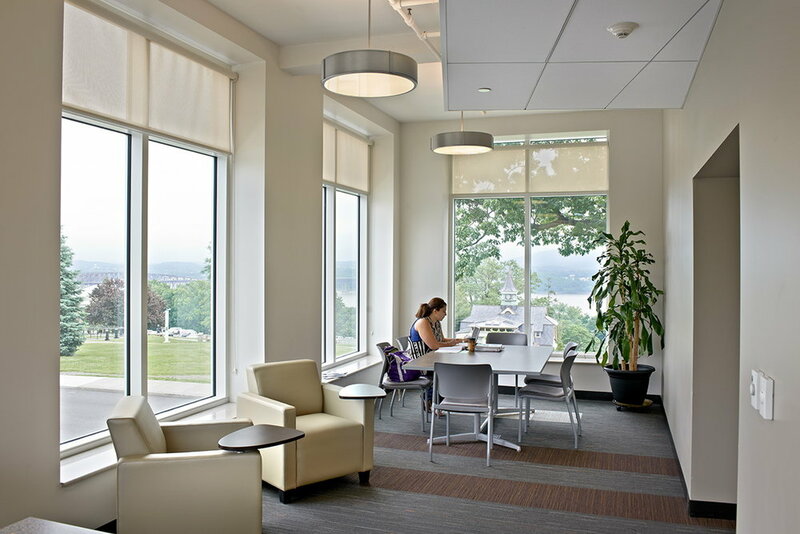 The design of the new Dominican Center makes a strong statement about Mount Saint Mary College’s commitment to education and the learning environment. 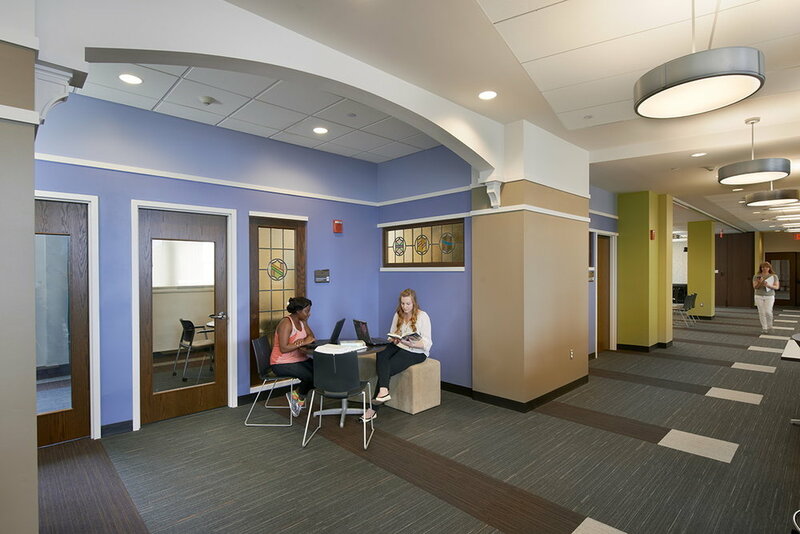 “The Dominican Center project was the culmination of many years of effort associated with property acquisition coming full circle to the “Crown Jewel” of our campus. Working with a 1927 Neo-Gothic structure, the architectural character of the building was by nature challenging, however Highland Associates successfully delivered a 21st century, multifaceted living and learning environment. Through their depth of professional staff, and comprehensive experience in all areas of architectural and engineering design, the existing conditions associated with the building’s age, historic architectural elements and previous life as a convent, were easily overcome. 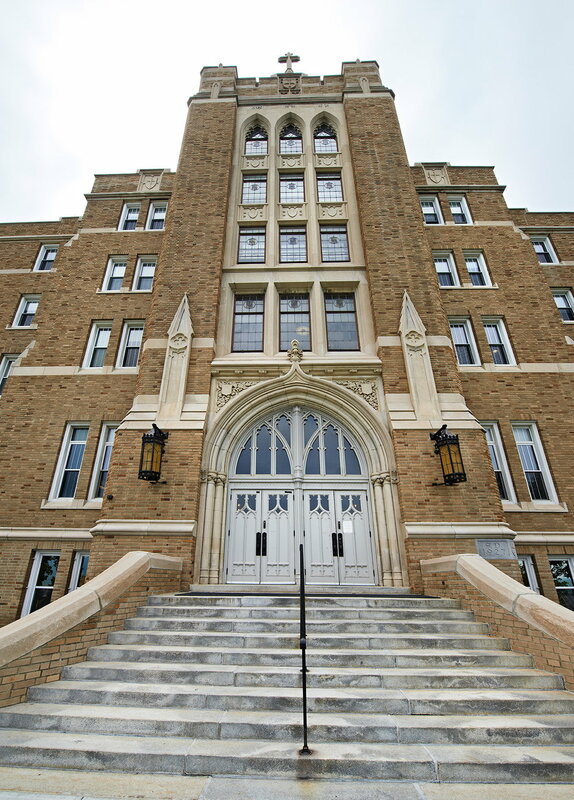 Highland Associates paid homage to the past with their creative and respectful reuse of historically significant architectural elements while simultaneously moving the campus community forward in accordance with Mount Saint Mary’s mission and vision. 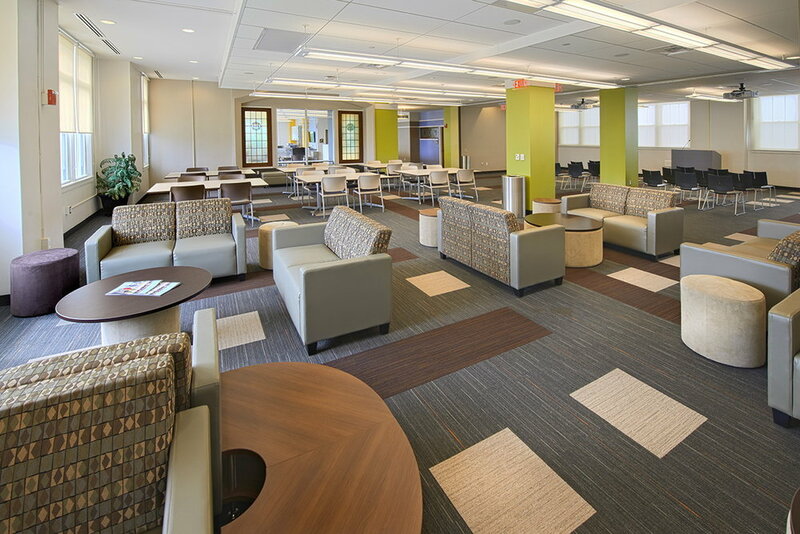 Throughout the project, the Highland team demonstrated their creativity in properly retaining and honoring the deep history of the building while being mindful of our project budget and expectations. Their team worked seamlessly with the Dominican Sisters of Newburg, faculty, staff, and students in creating a new Dominican Center - a place of pride and the most desired place to be.